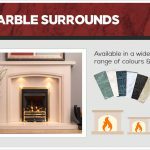 Fireplaces are a fantastic addition to any home, whether you have a wood-burning stove, a gas fire or an electrical fire. However, a fireplace does not have an infinite lifespan and there will come a time when you need to consider replacing it. 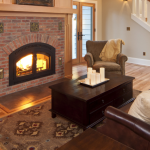 This issue applies more to fireplaces that use a chimney – if you notice that moisture is dripping from the chimney or running down the sides, it could be because water has started seeping through the outside of the building. This is an issue that should not be ignored, as the longer the water is present inside the building material, the weaker the material becomes which could eventually lead to the crumbling and possibly collapse of the structure. 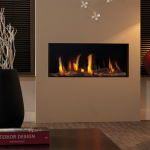 If your electric fireplace is not giving out much heat, this can be a sign of its efficiency decreasing. This problem can sometimes be fixed by repairing wiring that may be faulty, but it might also be better to replace your fireplace with a new, higher efficiency model. The longer this problem goes unattended, the more money you are spending without getting the amount of heat that you paid for. This issue can be easily seen from outside your home, and if you notice that your chimney has started to slant to one side, it is important that you get the issue rectified straight away. 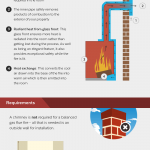 If left for too long, the chimney could collapse and cause devastating damage to your home, as well as being very dangerous to those inside. A collapsing chimney could even rip away a wall, so make sure you seek professional assistance if you notice your chimney leaning. 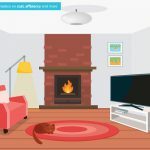 If you find that it is costing you more to use your fireplace than perhaps it previously has done, then this could be a sign that your fireplace is faltering and therefore requiring more power to produce heat. Call a professional, Gas Safe registered engineer to have a look at your fire and determine what the issue may be. 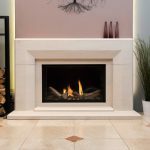 Here at The Fireplace Studio, we are proud to provide our customers with the highest quality electrical and gas fires and fireplaces in Nottingham. 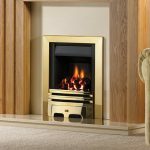 Whether you want a hole in the wall fire or an inset fire, our friendly, helpful team can assist you in picking the perfect fireplace for you. 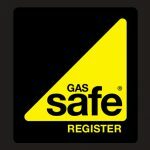 Our Gas Safe registered, fully accredited installers can fit, maintain and repair your fireplace to the highest standard. For more information, get in touch with us today.